Synopsis: A collection of essays exploring the strengths and weaknesses of some of the very complex characters of the Mahabharat. 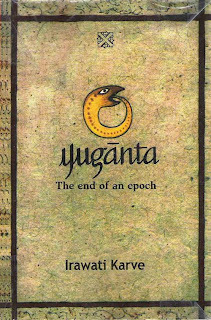 UCV says: Commenting on this book would be a minor crime, for there are perhaps few equals to Iravati Karve’s Yuganta – The end of an epoch. Commentaries and commentaries have been written about the ‘Mahabharat’, and continue to be written today, such is the mystery and vastness of that epic. But few have dared autopsied it with the scientific precision of Karve. 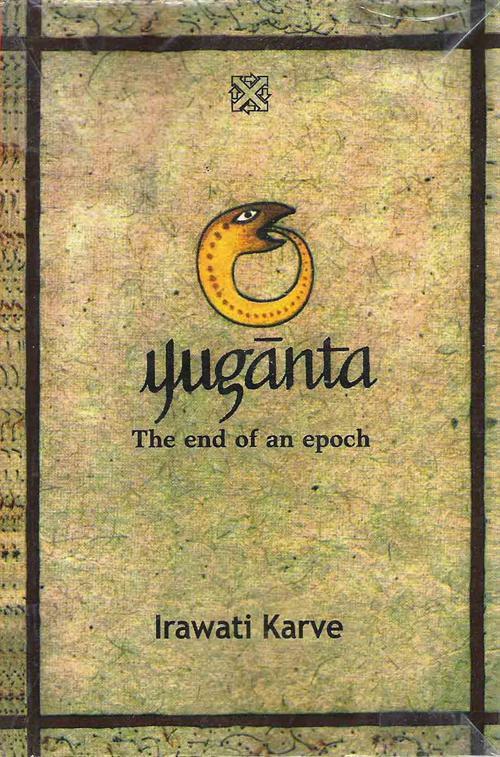 Little wonder that it won the Sahitya Akademi prize for the best Marathi book of the year in 1967. It was later translated and published in English. okay this one sounds heavy! I am definitely not buying it, but will gladly read it if i get my hands on it. Few months back , I read "Palace of Illusion" .. a book tracing draupadi's life in her words ,, then i got "the Pregnant king" ( yet to finish and review .. ) and now this looks like another good read on Mahabharath characters and stories. Going to buy this soon..
PS : UCV , try the books I mentioned , you might like them. Pregnant King is sitting on my shelf as we speak. And yes, I must take a look at Palace of Illusions. Thanks for the recos, Nimue!